January 2008 - Collectors have requested for some time a numbered list. Took a while to get it ready. Sadly other sites then saw fit to steal it. 305 Jock Stein Memorial CSC Hamilton Ont. 306 Jock Stein Memorial CSC Hamilton Ont. 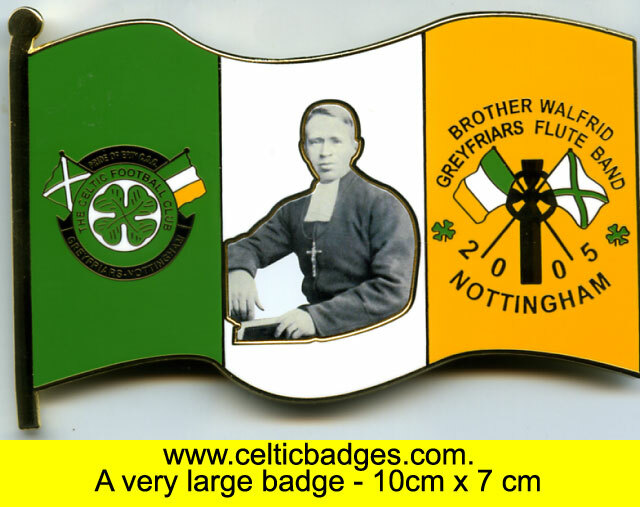 536 Nottingham City CSC Not readily identifiable - badge a letter "N"
614 Jock Stein Memorial CSC Hamilton Ont. 656 Lee Walker CSC Lochee 10th Anniv. 826 Celtic Minded - St Pauli S.C.
952 Kimberley CSC Tollcross Has Greenbhoys CSC on badge.